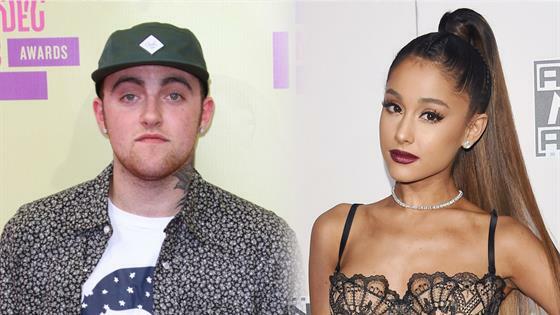 Ariana Grande has broken her silence about the death of her ex Mac Miller, saying in a touching social media post that he was the "kindest, sweetest soul with demons he never deserved." The rapper, whose real name is Malcolm McCormick, was found dead in his Los Angeles home last week after suffering an apparent overdose. He was 26. He and Grande, 25, had collaborated on the 2013 song "The Way" together and dated for at least a year and a half until they broke up earlier this year. On Friday, Grande posted on her Instagram page a video she filmed of her then-beau at dinner. He is all smiles. "i adored you from the day i met you when i was nineteen and i always will," she wrote. "i can't believe you aren't here anymore. i really can't wrap my head around it. we talked about this. so many times. i'm so mad, i'm so sad i don't know what to do. you were my dearest friend. for so long. above anything else. i'm so sorry i couldn't fix or take your pain away. i really wanted to. the kindest, sweetest soul with demons he never deserved. i hope you're okay now. rest." Grande had first responded to his death publicly a day after his passing, posting a photo of him on her Instagram page, without a caption. Miller's friend Shane Powers recently said Grande was "an unbelievably stabilizing force" in the rapper's life. "There could not have been anybody more supportive of him being sober than Ariana," he said. "This little girl was unbelievably involved and helpful to him being healthy."